Based on party announcements, press releases and official platforms, Opposition News has compiled a list showing where each of America’s 16 opposition political parties stands on the Israel-Palestine issue. This entry was posted in Constitution Party, Green Party, Libertarian Party, Liberty/Free Market Parties, Non-left/right parties, Right-wing minor parties, Socialist/left parties and tagged America's Party, American Freedom Party, American Independent Party, Independent American Party, Justice Party, Objectivist Party, Party for Socialism and Liberation, Peace and Freedom Party, Reform Party, Socialist Equality Party, Socialist Party USA, Socialist Workers Party, Veterans Party on July 31, 2014 by Jed Ziggler. This entry was posted in Liberty/Free Market Parties and tagged George Zimmerman, Luis Rivas, Objectivist Party, Objectivist Party of California, Tom Stevens, Trayvon Martin on July 25, 2013 by Krzysztof Lesiak. On May 14, 2013, Luis Rivas was appointed to serve as President of the Objectivist Party of California. This entry was posted in Libertarian Party and tagged Libertarian Party, Objectivist Party, Tom Stevens on May 14, 2013 by Krzysztof Lesiak. Richard Winger reports on the Objectivist Party’s presidential and vice presidential nominations in 2012. 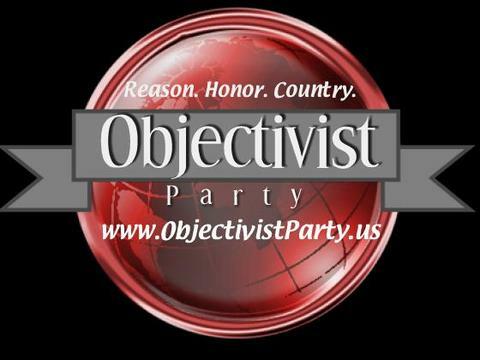 Sometime in 2010, at an event in St. Louis, the Objectivist Party nominated Thomas Stevens for President for the 2012 election. The 2012 vice-presidential nominee is Alden Link. The same pair ran in 2008, and received 755 votes in the entire nation. This entry was posted in Liberty/Free Market Parties and tagged Alden Link, Election results, Objectivist Party, presidential candidates, Thomas Stevens on June 7, 2012 by Trent Hill. This entry was posted in Libertarian Party, Liberty/Free Market Parties and tagged Carl Person, Objectivist Party, ron ramo, Sam Sloan, Tom Stevens on February 1, 2012 by paulie. This year, 23 presidential candidates are on the ballot in at least one state. That is the highest in U.S. history except for 1992, when there were also 23. Generally there are more such candidates in periods of great public unhappiness. This entry was posted in Third parties, general and tagged Alan Keyes, America's Independent Party, ballot access, Ballot Access News, Bob Barr, Boston Tea Party, Bradford Lyttle, Brian Moore, Charles Jay, Chuck Baldwin, Cynthia McKinney, E. Z. Million, Frank McEnulty, frank moore, Gene Amondson, George Phillies, Gloria La Riva, Green Papers, Heartquake 08, James Harris, jeffrey boss, Jeffrey Wamboldt, Jonathan Allen, Joseph Polachek, Objectivist Party, Oklahoma, Pacifist Party, Party for Socialism and Liberation, Prohibition Party, Ralph Nader, RÃ³ger Calero, Reform Party, Richard Duncan, Ron Paul, Socialist Party USA, Socialist Workers Party, Ted Weill, Tom Stevens, vote here, We the People on October 27, 2008 by paulie cannoli. This entry was posted in Constitution Party, Green Party, Independents, Libertarian Party, Non-left/right parties, Right-wing minor parties, Socialist/left parties, Third parties, general and tagged Boston Tea Party, Charles Jay, Florida, Gene Amondson, Objectivist Party, Prohibition Party, Tom Stevens on October 13, 2008 by PJO. The November 2008 Colorado ballot will list 16 presidential candidates. This is the most crowded ballot in U.S. history for president at a general election. The previous record was 14, set in 1992 in three states (Iowa, Tennessee, and Wisconsin). This year, it appeared that 18 candidates would be on in Colorado. This entry was posted in Third parties, general and tagged America's Independent Party, Boston Tea Party, California, Colorado, Elvena Lloyd-Duffie, Frank McEnulty, Heartquake 08, Iowa, Objectivist Party, Pacifist Party, Prohibition Party, Ralph Nader, Socialist Party USA, Socialist Workers Party, Tennessee, William Koenig, Wisconsin on October 3, 2008 by paulie cannoli. Update: What percentage of voters can vote for what percentage of candidates? This entry was posted in Third parties, general and tagged Alan Keyes, America's Independent Party, Ballot Access News, Boston Tea Party, Brian Moore, Charles Jay, Chuck Baldwin, Cynthia McKinney, Gene Amondson, Gloria La Riva, Green Party, Independents, Louisiana Taxpayers Party, Objectivist Party, Party for Socialism and Liberation, Prohibition Party, Ralph Nader, RÃ³ger Calero, Ron Paul, Socialist Party, Socialist Workers Party, Thomas Stevens on October 2, 2008 by Ross Levin.